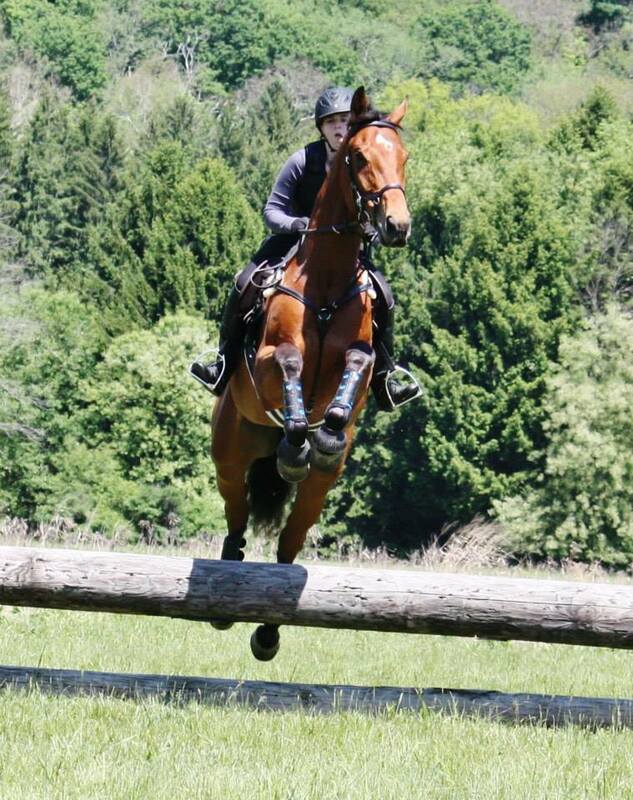 It’s time for everyone’s favorite Tuesday feature… the OTTB Spotlight! Although, this is my last OTTB so unless I get some more submissions we shall have to end on this lovely horse, Fiction! 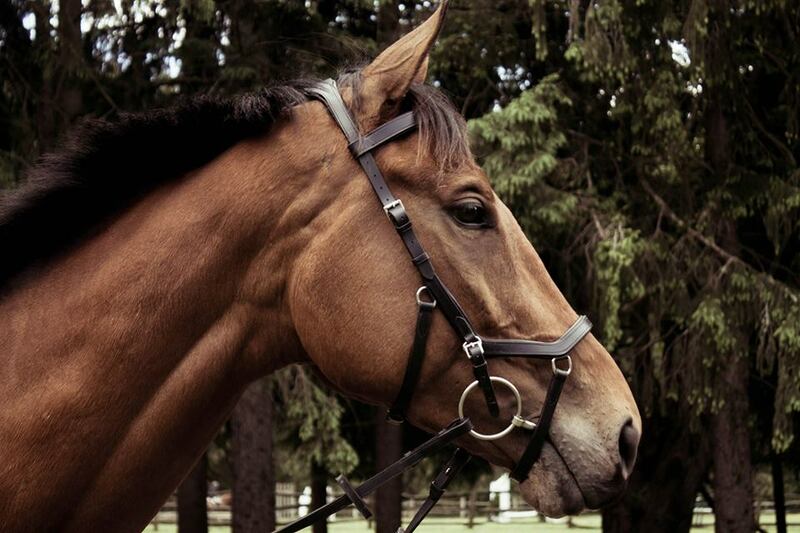 Today we’re all about Hawk’s lovely OTTB, Fiction, from Forging Fiction. What is his/her registered name? GhostofaCharlie – I’m not a fan. Did your OTTB race? He had 8 starts, no wins, one place, and one show. Won a grand total of $5,450. I was told that he just didn’t have the heart for it. What do you do now with them? Fiction was green broke when I got him. He retired from the track on Nov 2011 and sat for a year on a farm with nothing done with him. I bought him the first day I saw him because I felt he had the height and would be able to develop the athletic ability to do Eventing (despite his somewhat choppy movement). I ended up being right. We had a slight delay in training due to lameness, but since I got him in Sept. 2012 we’ve been working towards developing him on the flat and over jumps. He has come a long way and now stretches out/moves fairly well in the flat. Fiction is also very naturally athletic and once he gained weight/started feeling good, he began to show his true colors. We very recently ventured out to our first Jumpers show (a first for him and for me!) and managed a 3rd out of 5 in a Green Jumpers class with one rail down. It was an exhilarating experience and just the first of many more to come. 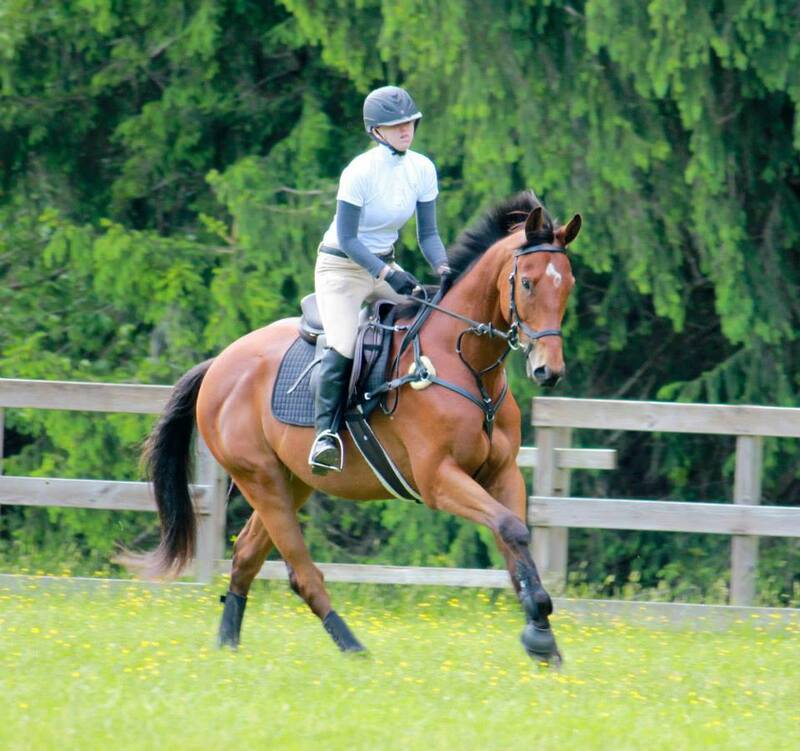 We’re hoping to get in one or two horse trials this summer, if finances permit! If your OTTB was a musician, who would they be? I’m hesitant to call him a musician (partially because his music is not very good) but if I had to pick someone it would be Justin Bieber. Why? Because he’s a pretty boy horse who loves attention, loves the ladies, and who somehow has every girl in the barn crooning over him. He’s also young, stubborn (but hard working), and destined to be a super star. Also I don’t listen to a lot of American music, so this was a very hard question for me haha. Your OTTB is on a desert horsey island. He/she can bring three items – what are they? Peppermints, fresh water (in safe buckets! ), and a personal groom. Your OTTB is deathly afraid of… Water! Of the stream/puddle/creek variety. Also quick movements around his head. 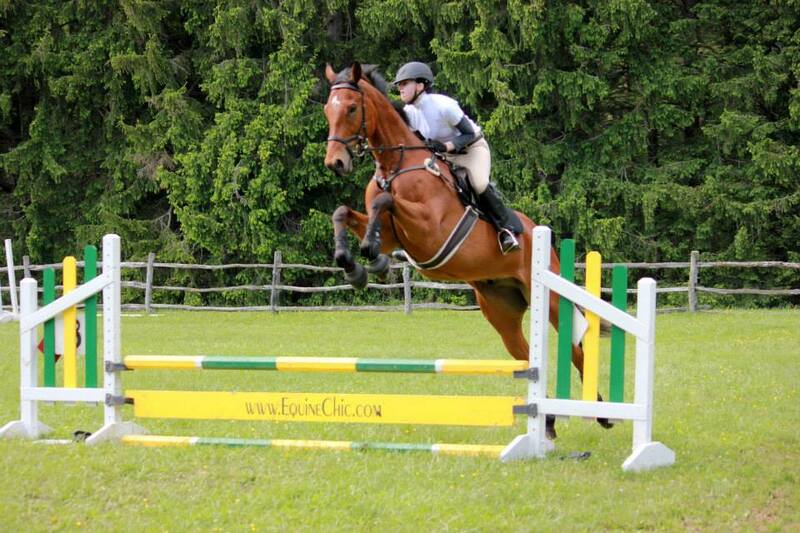 Your OTTB is really brave about… Jumps. He might back off once or twice when he sees something new, but I have never failed to get him over something and once he has jumped it he will jump it again and again without question. If your OTTB could change one thing about his environment or training, what would it be? He would probably like me to stop carrying a whip. He hates them (which is exactly why I carry one even though I hate them too!) Oh, and he’d probably want me to take him galloping cross country more – he loves it! How would your OTTB introduce themselves to a new herd of horses? HAI GAIZ! HOW ARE YOU? MY NAME IS FICTION! LET’S BE FRIENDS!!! 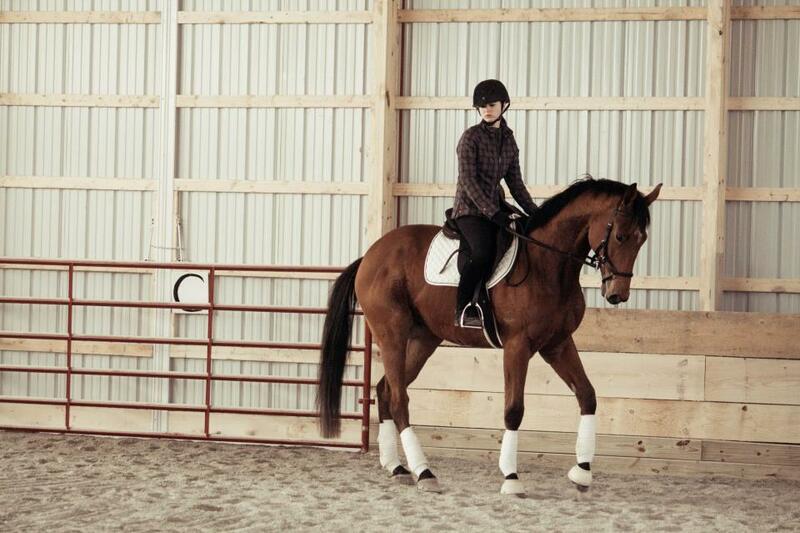 And finally, your OTTB makes you proud every day because… He is the perfect horse (especially for his age!) – calm but attentive personality, bright-eyed, smart & learns quickly, takes care of me when I’m on his back, and forgives me even when I accidentally yank on his mouth or set him up wrong for a jump. He also loves me – that I have no question about. I was very blessed to have found him. Fiction is a cool horse! Fiction seems like a lovely horse who will be a superstar for you. Good luck with him. Agree! I think they will go far together. But… I submitted Cuna’s information and pictures! Should I resend? Fiction is a cool boy. Love his pics. I LOVE HIS NAME. So cool! He is gorgeous! I love a happy match! What a lovely looking horse, Fiction sounds like great fun & a perfect partner. Might have to follow another blog, lol! Thanks for featuring my boy! I love reading about OTTB’s, so I hope you get a few more in!